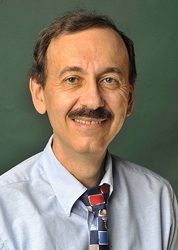 Most of Associate Professor Malouff's research focuses on evaluating the efficacy of (a) methods of coping with stressors, (b) types of psychotherapy, (c) self-help materials for psychological problems, and (d) methods used to increase adherence to recommendations of health professionals. He also does research on methods of running organizational meetings and how to improve romantic relationships. Malouff, J., & Schutte, N. Activities to Enhance Social, Emotional, and Problem-Solving Skills (3rd ed.). Springfield, IL: Charles C. Thomas. Schutte, N., & Malouff, J. A Comprehensive Dimensional Model of Emotional Intelligence. Hauppage, NY: Nova. Malouff, J., & Emmerton, A. (2014). Students can give psychology away: oral presentations on YouTube. Psychology Teaching and Learning. At: http://dx.doi.org/10.2304/plat.2014.13.1.38. Malouff, J., Rooke, S., & Cope, J. (2013). Experiences of marijuana-vaporizer users. Substance Abuse. Published online first athttp://dx.doi.org/10.1080/08897077.2013.823902. Malouff, J., Schutte, N., & Thorsteinsson, E. (2013). Emotional intelligence and romantic relationship satisfaction: A meta-analysis. American Journal of Family Therapy. published online first at http://dx.doi.org/10.1080/01926187.2012.748549. Bhullar, N., Schutte, N., & Malouff, J. (2013). The nature of well-being: The roles of hedonic and eudaimonic processes and trait emotional intelligence. Journal of Psychology: Interdisciplinary and Applied, 147, 1-16. Coulter, K., & Malouff, J. (2013). Effects of an intervention designed to enhance romantic relationship excitement: A randomized-control trial. Journal of Couple and Family Psychology: Research and Practice, 2, 34-44. Malouff, J., Emmerton, A., & Schutte, N. (2013). Changes in smoking level after viewing graphic cigarette warnings: Preliminary findings. American Journal on Addictions. Published online first at http://onlinelibrary.wiley.com/doi/10.1111/j.1521-0391.2013.12040.x/full. Malouff, J., Emmerton, A., & Schutte, N. (2013). The risk of bias as a reason to keep students anonymous during grading. Teaching of Psychology, 40, 233-237. Malouff, J., & Rooke, S. (2013). Expert-recommended warnings for medical marijuana. Substance Abuse, 34, 92-93. Schutte, N., & Malouff, J. (2013). Adaptive emotional functioning: A comprehensive model of emotional intelligence. In Nadya Gotsiridze-Columbus (Ed. ), Psychology of emotions (pp. 469-488). Hauppauge, New York: Nova Science. Schutte, N., Thorsteinsson, E., & Malouff, J. (2013). Increasing emotional intelligence through training: Current status and future directions. International Journal of Emotional Education, 5, 56-72. Malouff, J., Zucker, L., & Schutte, N. (2013). Do work groups have personalities? In E. C. Crossman & M. A. Weiler (Eds. ), Personality traits: Causes, conceptions and consequences. Hauppauge, NY: Nova. Bhullar, N., Schutte, N., & Malouff, J. (2012). Trait emotional intelligence as a moderator of the relationship between psychological distress and satisfaction with life. Individual Differences Research, 10, 19-26. Bhullar, N., Schutte, N., & Malouff, J. (2012). Associations of individualistic-collectivistic orientations with emotional intelligence, mental health and satisfaction with life: A tale of two countries. Individual Differences Research, 10, 165-175. Malouff, J. (2012). The need for empirically supported psychology-training standards. Psychotherapy in Australia, 18(3), 28-32. Malouff, J. (2012). Review of Research Methods in Psychology: Investigating Human Behavior by P. G. Nestor and R. K. Schutt. Psychology Learning and Teaching, 11,119-120. Malouff, J., Calic, A., McGrory, C., Murrell, R., & Schutte, N. (2012). Evidence for a needs-based model of organizational-meeting leadership. Current Psychology, 31, 35-48. Malouff, J., Coulter, K., Receveur, H., Martin, K., James, P., Schutte, N., Hall, L., & Elkowitz, J. (2012). Development and initial validation of a four-factor measure of romantic relationships. Current Psychology, 31, 349-364. Malouff, J., Schutte, N., Rooke, S., & MacDonell, G. (2012). Effects on smokers of exposure to graphic smoking warning images. American Journal on Addictions, 21, 555-557. Schutte, N., & Malouff, J. (2012). Priming ability emotional intelligence. Intelligence, 40, 614-621. Watters, J., & Malouff, J. (2012). The perceived personality characteristics of individuals with anorexia nervosa. Clinical Psychologist, 16, 118-122. Malouf.J. Using psychology in everyday life.